Last modified on December 18th, 2018. The 'Parametric Diagram' is a structure diagram showing mathematical relationships, performance constraints, and parameters among the pieces of the system being designed. Creating Parametric Diagrams Using 'Diagrams View' in Innoslate, you can create a new 'Parametric Diagram'. Adding an Entity An entity can be added to a 'Parametric Diagram' via drag-and-drop. The ‘Parametric Diagram’ is a structure diagram showing mathematical relationships, performance constraints, and parameters among the pieces of the system being designed. 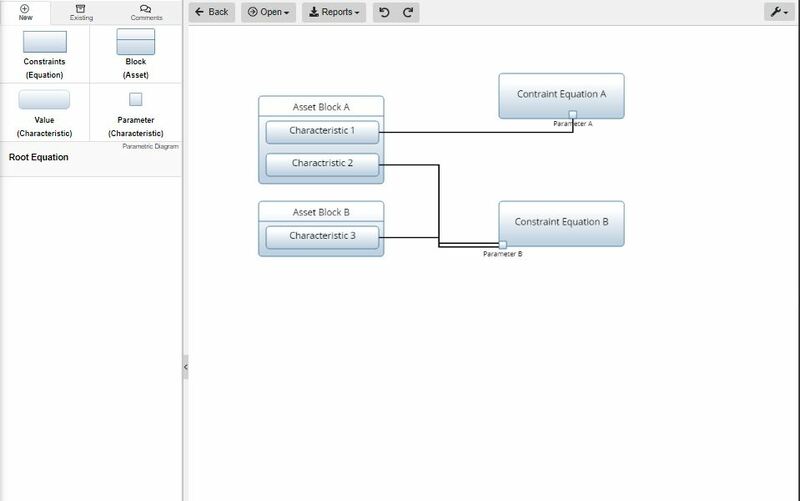 Creating Parametric Diagrams Using ‘Diagrams View’ in Innoslate, you can create a new ‘Parametric Diagram’. Adding an Entity An entity can be added to a ‘Parametric Diagram’ via drag-and-drop.